Just under half of the scans have been rechecked so far. 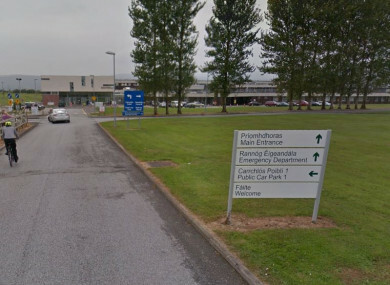 A UNIVERSITY HOSPITAL Kerry radiologist who missed or misdiagnosed seven serious cases involving cancer and other serious diseases was a locum doctor and not a permanent member of staff, RTÉ News has established. The doctor was employed through a locum agency based in Ireland. RTÉ has also confirmed that the doctor in question worked as a consultant radiologist at the Mater Hospital in Dublin in January and February 2006. On Sunday, the hospital confirmed that a review is being carried out on 46,000 x-rays, cat scans and ultrasounds after a number of concerns were raised during the summer. Three cases were initially confirmed to be misdiagnosed during the summer, and the scans review has found that further patients had been affected. As of yesterday evening, just short of 21,000 scans had been reviewed. The scans are being rechecked by a number of expert radiologists. Speaking on RTÉ’s Six One News last night, Killarney GP Dr Gary Stack said he is reassured that the scans are being rechecked and the number with significant issues is “very minimal, about 1 in 1,000″. Patients should be reassured, he said, because the review had found “very few significant errors”. In a statement yesterday, Fianna Fáil health spokesperson Billy Kelleher said that he was concerned that one person, who does not currently work at the hospital, was responsible for reviewing so many scans. He said: “It’s clear to me that irrespective of their clinical abilities, this is a very heavy workload for any person. What’s more concerning though is that there didn’t seem to be any oversight of this person’s work, and that there were no checks and balances in place to ensure that mistakes were spotted. He added that too many people are “anxiously waiting news of their own review” and the sooner it is completed the better. Labour’s Alan Kelly, meanwhile, said that there must be an analysis of staffing levels in the Tralee hospital and further afield. “Patients must be assured that when they get a scan that the examination and diagnosis they receive is correct,” he said. A helpline has also been set up for any patient who may have had concerns. It can be reached at 1800 742 900. It will remain open till 10pm tonight and tomorrow, and until 5pm on Thursday and Friday. Email “Doctor who misdiagnosed seven serious cases at Kerry hospital was not a permanent staff member”. Feedback on “Doctor who misdiagnosed seven serious cases at Kerry hospital was not a permanent staff member”.